serenassong wrote: "Baby Girl" will try and get off the snide today- and show her breeding. Time to call Claiborne and see what War Front's date book looks like? I would have made that suggestion clear back in April when she ran at Keeneland. Princess Kate(JPN), 2015F. 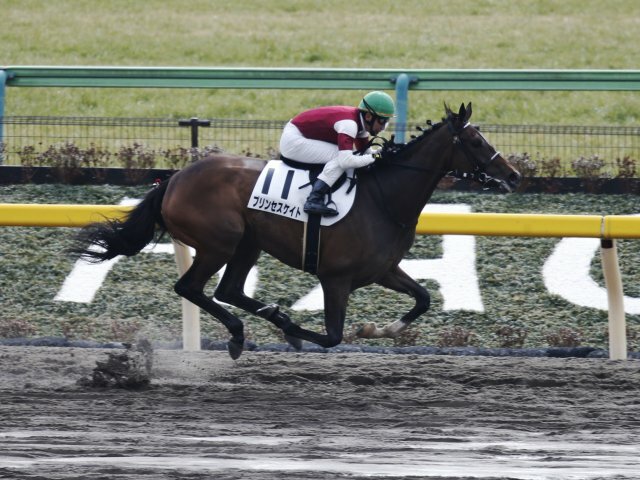 Hard Spun(USA) x Lady Middleton(USA) by Kingmambo(USA), won her debut easily going 1400m dirt at Tokyo 2R Newcomer on Feb 3rd 2018. Like her grandam Danuta(USA) , she is owned by Sheikh Mo. honneerider wrote: Wampus is entered Santa Anita Park on Sunday, February 4th, 2018 in Race 5. Purse: $ 54,000. (Plus $16,200 - CBOIF - California Bred Owner Fund)For Maidens, Fillies Three Years Old. Weight, 122 Lbs. (this Race Restricted To Homebreds And Horses Sold At Public Auction For $100,000 Or Less). Six And One Half Furlongs. Exclamation Point, a half to Classic Empire, won impressively yesterday at Oaklawn. I saw the race and that colt has so much talent that he was able to run greenly, switch to the wrong lead and still pull away. Can't wait to see the flashy chestnut's next race. Seven of 7 - trained by Art Sherman.